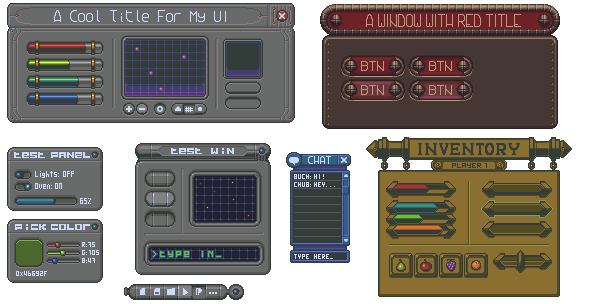 A bunch of user interfaces I never finished. Thought I'd post them here - maybe someone could make something complete out of them. None of them was worth its own submission, anyway. Thank you, these are very nice and will be very useful! Thanks for these, I'll be using them in my project. Will be linking back to your blog.